Customers admire these Stainless Steel Ladders due to longer life working and adverse nature towards the damage caused by high pressure. Besides this, these SS ladders are best in finishing and reliable in nature. Moreover to this, these ladders are durable and remain sustained up to longer years. 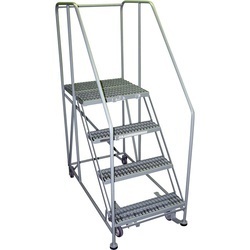 Justifying our reputation in this highly competitive industry, we have brought a wide assortment of SS Ladder. 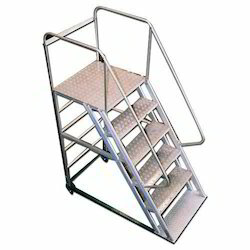 We are a leader in offering a best quality of Stainless Steel Ladder to our clients. Accurate in dimensions and corrosion resistant in nature, all these Stainless Steel Ladders are fabricated in number of specifications keeping in mind the industry requirements. These are available at market leading prices. SG Fabs Kitchen Equipment Pvt. Ltd. The WATERMATE WL Series Stainless Steel ladders are very specifically designed for all the concrete and vinyl pools. Made out of the best materials available, the ladders are very durable, corrosion-proof.